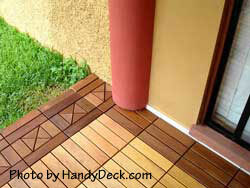 Interlocking deck tiles are a great DIY porch project; you don't need to hire a contractor to install them. 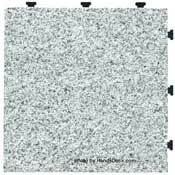 The other great thing about this product is that you can lay it over your existing wood or concrete floor. 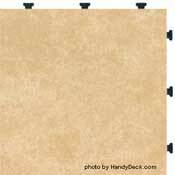 You can also lay this porch flooring over roofing membranes, old ceramic tiles, weathered wood and even bare ground if prepared correctly. 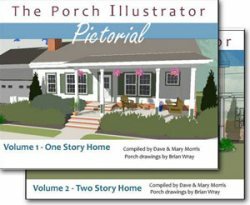 If you are thinking of installing a new porch floor, really consider installing interlocking deck tiles over your existing porch floor. It can be well worth the cost and they look fantastic. Since they are not "fastened" to the floor, you can take them with you if you move. That's a good investment. 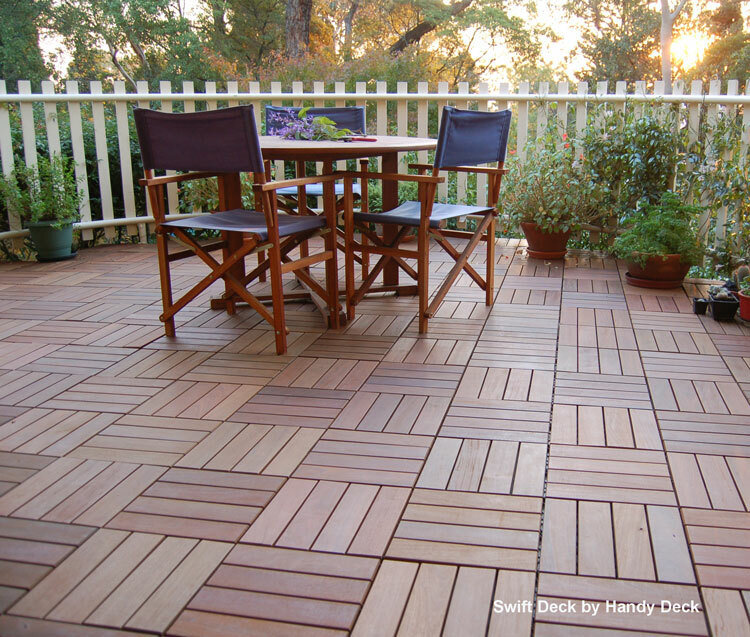 Here is a resource we just plain like - and we do not earn any compensation by recommending them: Interlocking wood tiles to instantly cover dreary decks and patios. 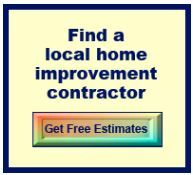 They hide minor cracks and blemishes without any additional work. Major damage; however, may need to be repaired prior to installing the deck tiles. You do not have to remove the existing structure (unless it is not conducive for laying the tiles). So there is no demolition and removal to a land fill. My favorite - you can create your own design! 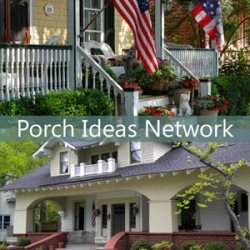 You can run a unique border around the perimeter of your porch, you can create elaborate designs down the middle, or simply mix and match to your heart's content. Installation can be quick. If you are laying the tiles over concrete or other solid flooring you could easily finish a medium size porch in a day or less. 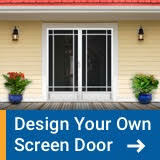 Consider using them for patio, deck, basement, balconies, roof tops, walk ways, pools, and hot tubs. 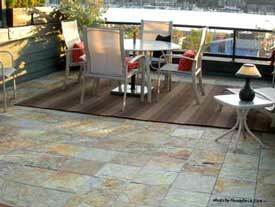 Deck tiles look fantastic on porches, decks, and patios as depicted in the photo above. 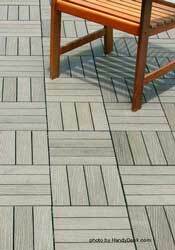 You too, can have the look of a fine deck or porch floor - check out your options below. You can easily install these tiles right over your existing veranda or porch flooring to create a whole new look and add lots of curb appeal. 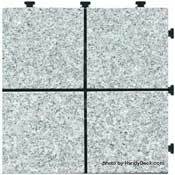 We found the following samples of interlocking outdoor tiles at HandyDeck.com. 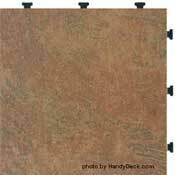 Your wood options may include decking tiles made from Ipe, Bankirai, Brazil Walnut, Brazil Teak, Eucalyptus, to name just a few. Stone tile options include porcelain, slate, or granite (Note: it's important to ensure the surface is as smooth as possible so tiles do not "rock" on the surface below.) 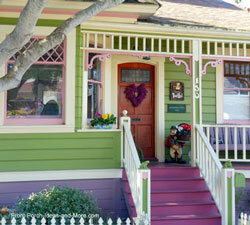 These are great examples of types of stone tiles. 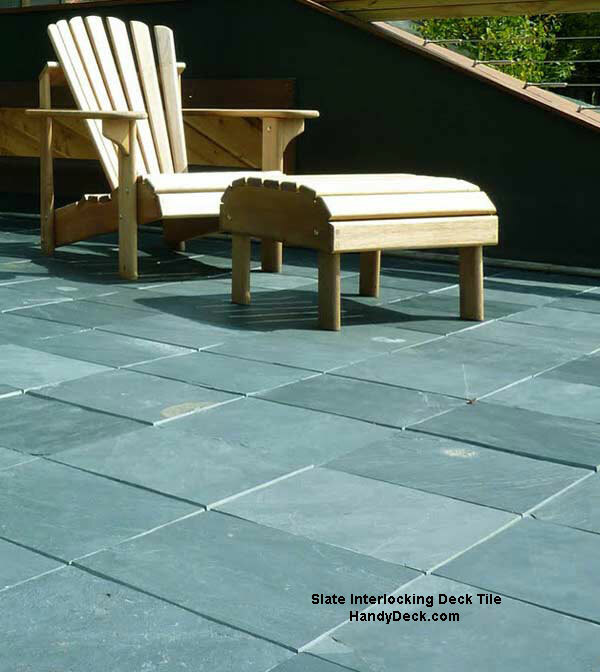 Everyone knows that natural slate is impressive and makes for an aesthetically pleasing flooring. 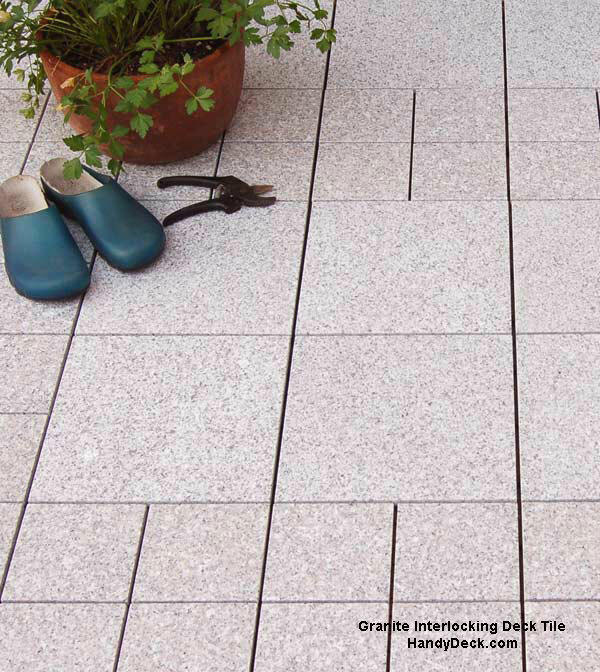 Granite, with its sophisticated appeal and durability is one of the most versatile tiles. 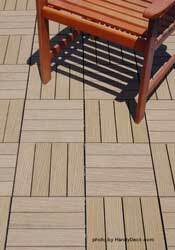 Composite decking tiles are low maintenance composite wood interlocking patio pavers that won't crack, split, splinter or rot. 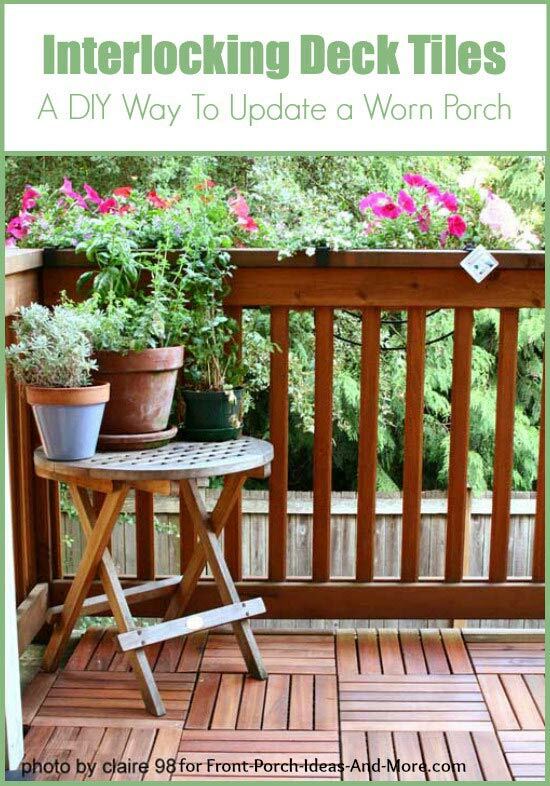 These are easy to maintain and are a good alternative to wood. These are examples of composite wood tiles. 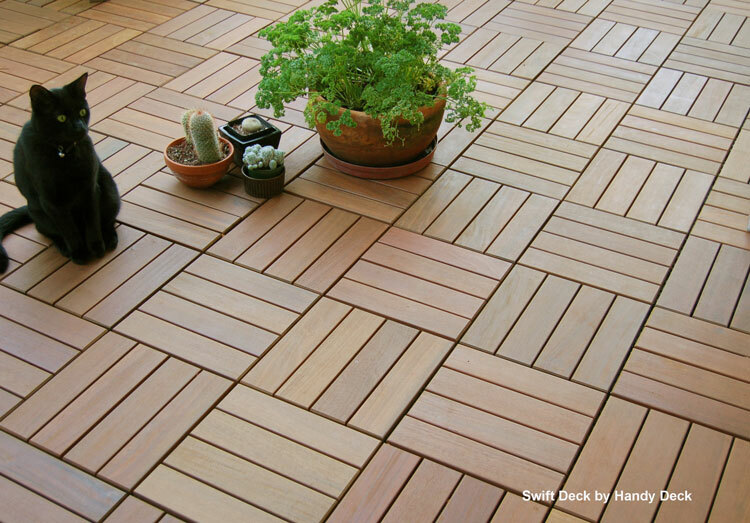 Bamboo tiles contain a non-toxic boron additive that permanently prevents termites and many other insects. Bamboo offers you a great look. 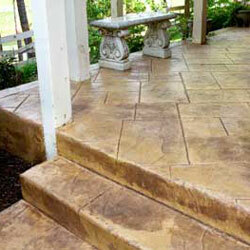 A Word of Caution: Interlocking tiles, in many cases, are not to be used on steps or stairways. Because they are not directly attached to the flooring structure, they can move and cause you to fall. 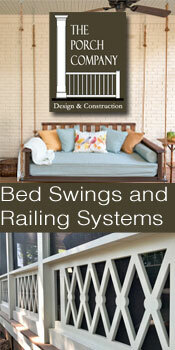 Carefully read the manufacturers instructions to ensure they are installed correctly. 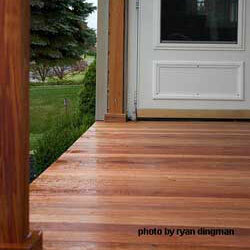 Our porch flooring materials section covers other materials that are ideal for steps and stairways. 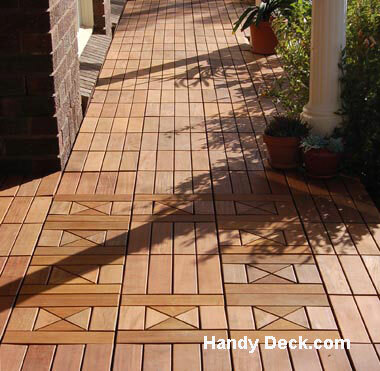 We encourage you to check out Handy Deck for more options and information on interlocking deck tiles. 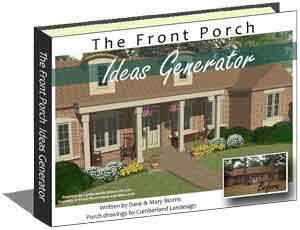 Discover all of your options for creating a beautiful front porch concrete floor and more! 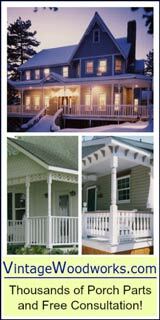 Discover all of your options for building an appealing front porch floor and more!